After releasing its final environmental impact statement (FEIS) for U.S. Highway 95 expansion and rerouting between Thorn Creek Road and Moscow on Tuesday, July 8, “the [Idaho] Transportation Department (ITD) has maintained its preferred route as the eastern path along Paradise Ridge” . The 1200-page FEIS reflects that recommendation, which does not ensure that the Federal Highway Administration (FHWA) will select the E-2 Paradise Ridge alternative for the reroute. ITD plans to send copies of the FEIS to the FHWA district office and the environmental section of the ITD headquarters office, both in Boise. Those agencies would review the statement and provide comments and feedback over about three weeks. The FHWA would then submit the FEIS to its legal section in Washington D.C. for review. The number of technical reports accompanying the statement – addressing citizen and agency concerns over wildlife, groundwater, weather, wind, weeds, and safety – could prolong FHWA legal section analysis to a couple of months, but ITD does not anticipate many questions. The worst-case scenario for ITD – resubmitting the FEIS in response to this review – would take an estimated week. When and if the national FHWA office finally approves the FEIS, it would place it in the Federal Register for 30 days, for other agencies to review and make comments. Most pertinent federal and state environmental and wildlife agencies have previously advised against the E-2 route. After this feedback, ITD would issue the record of decision (ROD), a separate document in response to federal agency comments, which would state FHWA’s route alignment selection, summarize the entire process, and undergo a FHWA review before it signs off on the ROD. At that point, the final design phase and right-of-way plans for the new highway section would begin. ITD has about $20 million in federal funding shifted to each of the fiscal years of 2016 and 2017 for construction. ITD’s “very aggressive, but doable” plan foresees construction start-up by summer 2016. ​With characteristically disgraceful hubris rivaling that of Idaho’s highest elected officials, ITD has neither publicly responded as promised to the questions of 400 commenters on its draft environmental impact statement nor directly notified them of its FEIS release, as it files another likely inadequate, incomplete, and fraudulent impact statement. It also has sidestepped citizen attempts to ascertain the project analysis schedule as well as requests for public hearings addressing legitimate citizen charges of blatant dishonesty. ITD project manager Ken Helm asserts that “he and various consultants have spent the past year addressing each of those concerns and questions, revising technical reports, and creating new ones, in an effort to produce the final environmental impact statement” . But with ITD’s obstinate insistence on the E2 route, the fix is apparently in. According to a current schedule posted on ITD’s project website, “the FEIS will address public comments, make any corrections, and provide new information…The document will be sent to the FHWA office in Washington D.C. for a legal sufficiency review in August [and September 2014]” . By mid-October 2014, the responsible (?) agencies intend to publish notice in the Federal Register of a 30-day period of FEIS “review by local resource agencies and the public.” After the review process, ITD will prepare and issue a record of decision in late December 2014, which will require FHWA approval. In its typical last-minute manner, ITD distributed an announcement on Tuesday, July 8, that the Idaho Transportation Board will tour the Port of Lewiston, the Highway 95 section proposed for re-routing and expansion south of Moscow, the Intermodal Transit Center in Moscow, and other locations on Thursday, July 10, before holding its regular monthly meeting on Friday, July 11, at the ITD District 1 office at 600 West Prairie Avenue in Coeur d’Alene . The Board will begin its tour of ITD Districts 1 and 2 highways on Thursday at the ITD District 2 office at 2600 Frontage Road in Lewiston. Departing at 7:50 am, the Board will meet with officials at the Port of Lewiston until 8:30 am, when it will travel north on U.S. Highway 95 to a “vantage point” on Zietler and Cameron Roads, where observers can envision and discuss at 9 am the eastern and central re-routing paths of Highway 95 between Thorn Creek Road and Moscow. After 15 minutes, the Board tour will travel north to arrive at the Intermodal Transit Center, at the corner of West Sweet Avenue and Railroad Street on the University of Idaho campus in Moscow, at 9:25 am and stay until 10:25 am. Stops north of Moscow include Potlatch, Plummer, and Post Falls, along with overnight accommodations at the Holiday Inn Express in Coeur d’Alene and the Friday Board meeting of unknown schedule at the District 1 office. Paradise Ridge Defense Coalition webmaster and organizer David Hall reports that, at the Monday, July 7, Moscow City Council meeting, council member Walter Steed told the City to remind the Idaho Transportation Board that the City wants a certain six miles of Highway 95 upgraded. A City staff member, perhaps City Supervisor Gary Riedner, said that City staff usually mentions that goal whenever they see the Board. While the final decision about the Thorn Creek to Moscow Highway 95 expansion project may lie beyond the Idaho Transportation Board, the Board oversees ITD, and concerned citizens should continue to interact with all pertinent agencies on this issue and enlist the support of potential environmental lawyers, especially during the ITD and FHWA review in Idaho of the proposed Highway 95 reroute during July 2014. Like a similar, recent Idaho Transportation Board tour of U.S. Highway 12, we doubt that the public employees of Idahoans would welcome citizen participation on the Thursday tour. But activists of both the Paradise Ridge Defense Coalition (PRDC) and Wild Idaho Rising Tide (WIRT) encourage you to attend the Board tour and especially its Moscow visit and to interject the concerns of the Moscow community. 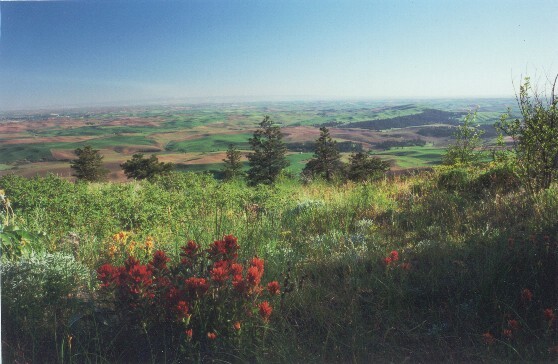 Defend the last one percent of native Palouse Prairie from a Highway 95 industrial corridor extending from the Port of Lewiston to the Alberta and Bakken extreme energy fields and accommodating timber companies like Clearwater Paper hauling off regional forests in longer, heavier trucks. 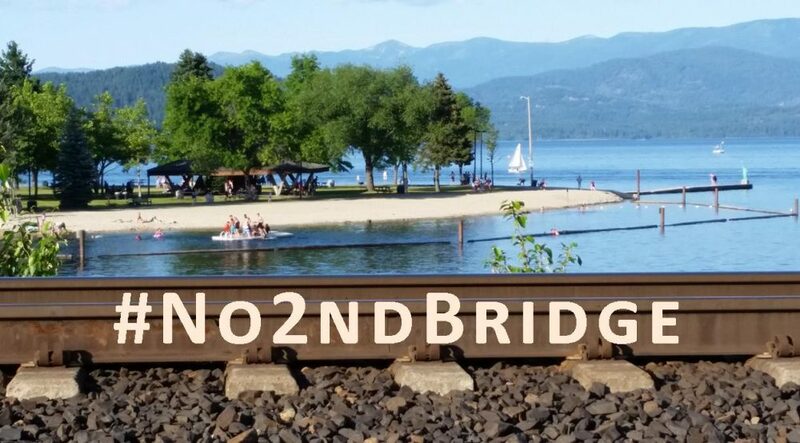 Paradoxically, taxpayers are funding these expanded fossil fuel and resource extraction and transportation projects and the $1.5 million Moscow Intermodal Transit Center, while dedicated climate activists and public transportation users, air quality, and climate stability suffer the recent elimination of bus routes to Sandpoint, Idaho, and between Pullman, Washington, and Moscow, Idaho. Please spread this urgent message to interested individuals and groups and share any information that you may have about this situation. To confirm that you can attend any part of this public Board tour or Moscow visit, please RSVP to WIRT at wild.idaho.rising.tide@gmail.com and/or 208-301-8039. Palouse carpools to Lewiston will gather at the WIRT Activists House at 6:30 am and depart promptly at 6:45 am. For the rest of the July Board tour and meeting agenda, see the following ITD link or contact Sue Higgins, Secretary to the Board, at 208-334-8808 with your questions and comments. This entry was posted in Alerts, Highway 95 Re-Route by WIRT. Bookmark the permalink.